WESTBURY, NY – October 17, 2017 – 1025 Old Country Road (1025 OCR), today announces the closing of a $14 million senior secured credit facility. 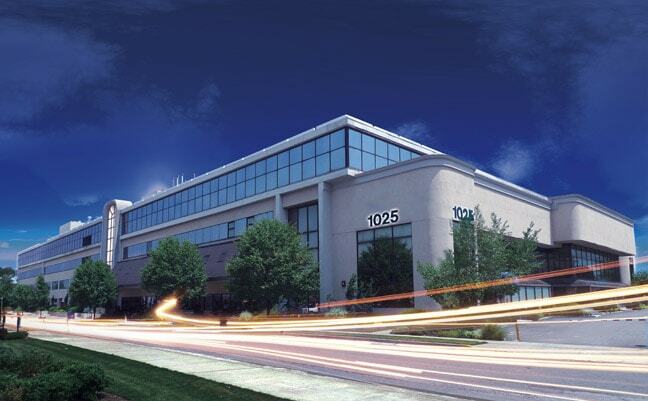 The 200,000 square-foot building located in Westbury, New York is the home of 1025Connect, Long Island’s premier network-neutral Meet-Me Room for network interconnection and colocation. The new capital will be focused on major enhancements to the building’s network and supporting infrastructure, including significant expansion of its data center and Meet-Me Room footprints, as well as power and cooling capacity, which is being driven by strong customer demand. Situated at one of the most eastern points of the United States, on the ‘Continental Edge,’ 1025Connect delivers direct access to multiple submarine cable systems connecting multiple continents, as well as the ability to bypass Manhattan via terrestrial fiber routes for greater network redundancy and diversity. The growth capital provided through this transaction was required to meet the needs of the multiple network operators already available in the facility, including transatlantic subsea cable systems, metro and regional dark fiber, and transport networks as well as supporting the expansion of new North American, European and Latin American networks coming to the facility. The senior secured debt financing was arranged by Meridian Capital Group, one of the nation’s largest commercial real estate finance and advisory firms. Bank Street Group, a private investment banking firm serving growth companies in the communications, media and technology sector, serves as exclusive financial advisor to 1025Connect in connection with its financial and strategic initiatives. 1025 OCR, LLC is a 200,000 square-foot commercial property located at 1025 Old Country Road in Westbury, New York. This multifaceted property offers commercial office space, a data center, a business accelerator, roof access for wireless, a CLEC and disaster recovery pods. The property is managed by A. M. Property Holding Corp. For more information, contact RCeant@am-property.net. 1025Connect is Long Island’s premier network-neutral Meet-Me Room for network interconnection and colocation, located at 1025 Old Country Road in Westbury, New York. This facility is renowned for its ability to connect subsea systems to terrestrial networks with the optional ability to bypass Manhattan for greater network diversity. 1025Connect provides colocation solutions that enable network interconnections through its highly-secure Long Island data center. Network operators of all types within 1025Connect benefit from direct access to Manhattan Bypass fiber routes, multiple transatlantic and Latin American submarine cable systems and multiple enterprise networks — all without monthly recurring cross-connect fees. Visit www.1025connect.com.